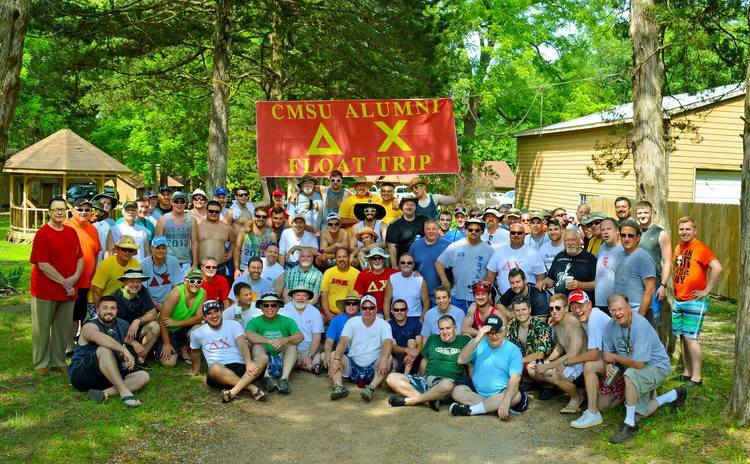 This page contains information on the 2019 Float Trip. Read all the way through. Summer is on it’s way. That means it's time to sign up for Alumni Float Trip 2019! As usual, it will be the first weekend in June (May 31-June 2). 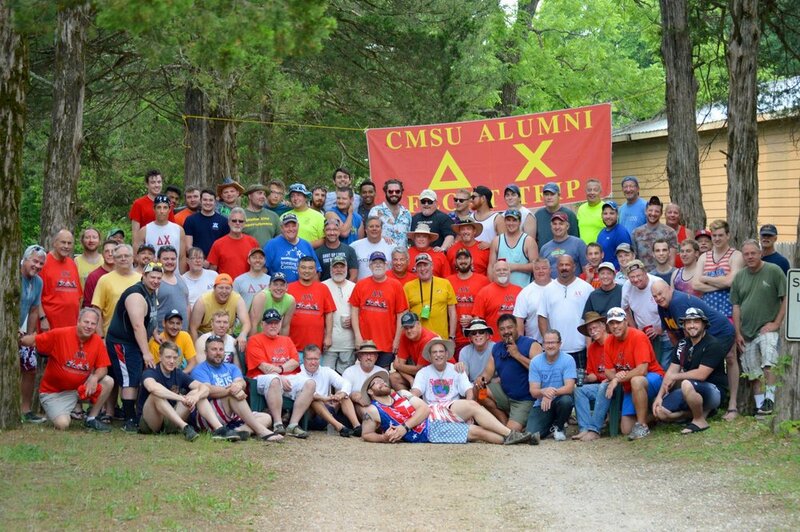 If you have never been to Alumni Float Trip or haven't in a while, then you're in for a treat. 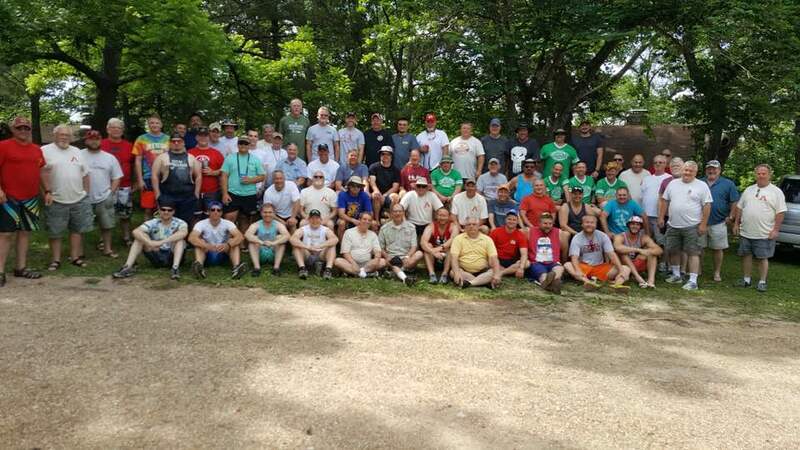 We regularly have close to 100 brothers attend so there will be lots of opportunity to reconnect with old friends. You should! And as many brothers you can get to come along! If you would like to come down on Thursday, May 30, you will need to make separate arrangements with the resort. This will be an additional cost. They may be contacted at 573-765-3044. Friday, May 31: Click the button above to check out golf course. We have 6 tee times reserved starting at noon (just show up). Currently, we stay at Gasconade Hills Resort on the Gasconade River in Richland, MO. A map and directions to the resort may be found below. April 1 at 6:00 p.m. will be when the initial sign ups will open to brother 65+ and brothers with a physical disability. April 8 at 6:00 p.m. sign ups will be open to everyone and will close on May 24 at 6:00 p.m.
Any refunds will take place after the conclusion of the float trip. For monies to be refunded, the Alumni Association must first cover all the costs of organizing the float trip. For each cancellation before the date of May 1, there will be a refund of everything but $50. For each cancellation on or after May 1 the cost will be assumed by the cancelling party. You will need to purchase the appropriate number of cabin and camping spots. The floating spots are NOT purchased separately. If you are not staying at the resort for the weekend but would still like to eat and/or float, then purchase the "Meal/Float Only" option. This year we are including a float trip shirt in the price so you will be receiving one on the date of float trip. The items you purchase MUST match the information you enter in the box for each person including the T-Shirt Size for each person. For those of you who will not be able to attend this year but would like to give a gift, you may do so below. What are you waiting for! Get to signing up to make memories with brothers! You may view the names of everyone currently signed up by clicking the button below. This spreadsheet does not update automatically as people sign up. It is updated manually at most twice a day.